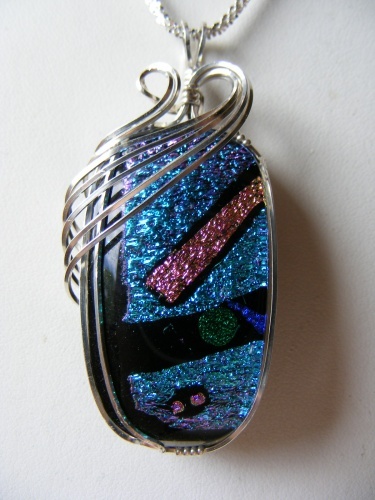 This gorgeous piece of handmade dichroic glass is truly one of a kind. It sparkles with blues, pinks, black and many other colors. Looks so elegant with the sculpting of argentium silver swirls. This piece is guaranteed to bring you many envious compliments.